Due to further expansion and demand we are now looking for an experienced field engineer to join one of our fitting teams. Based in Burgess Hill, we serve both residential and commercial customers. 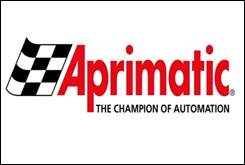 Aprimatic automation has become a major player in the supply and fitting of all gate, barrier types including new system installation plus existing system servicing. The ideal candidate will have some experience in the electrical or gate automation industry a keen eye for detail and quality of workmanship, be able to convey and listen to customer requirements and follow instruction especially when the project is within the commercial sector.